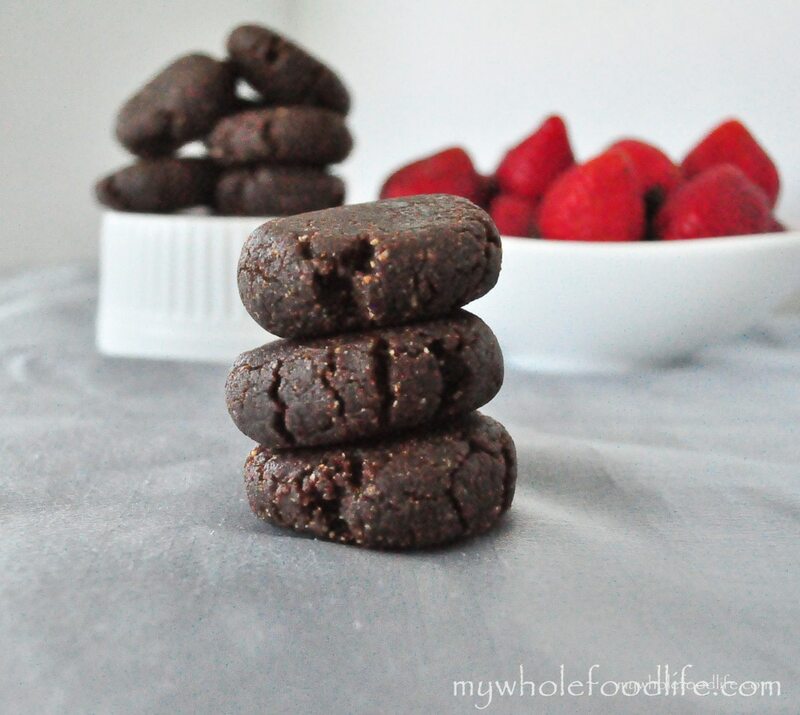 Healthier Vegan Nutella Bites. Omg. These might be the most delicious little bitesI have ever made. I know I said this once before after I made the No Bake Cookie Dough Bites, but these even out shine those! My mom is German, so I grew up eating Nutella. When I was little, I would grab the jar and run to my room to eat it. Now I know that it isn’t very good for you. Being vegan meant giving it up as well. I missed it terribly so I had to come up with a vegan friendly version. There are no funky ingredients in these. They take only minutes to throw together. That’s right. You could be only minutes away from popping one of these delicious balls of goodness into your mouth. 🙂 Can it get any better? Looking for more no bake recipes? If you are using raw hazelnuts, preheat oven to 375 and roast the nuts for about 7-10 minutes. If using roasted hazelnuts, skip this first step. In a food processor, grind the hazelnuts into a fine powder. Then add the dates, cocoa powder and milk and process until a dough forms. Roll the dough into balls and place in the fridge to set. Or, you can just eat them right out of the food processor. I’m not gonna lie, I may have had a few tastes. I got about 15-17 balls out of this batch. Enjoy! I make my own "nutella" by mixing almond butter with cocoa and a bit of maple syrup, then I eat it with banana. :) Obviously with an almond base it won't have the hazelnut flavor but it sure is easy and delicious! Thanks for all the delicious recipes! I love the flourless chocolate peanut butter muffins (I add chocolate chips)! Thanks Jill! Yours sounds yummy too!